I am currently in the mood for a warm, comforting cup of hot cocoa. Most of the time I crave coffee, simply because....caffeine. But hot chocolate gives me that extra feeling of content. Take it easy, Nicolette. I was also in the mood to bake - and when my moods collided, these cupcakes were created. I am in love with these! 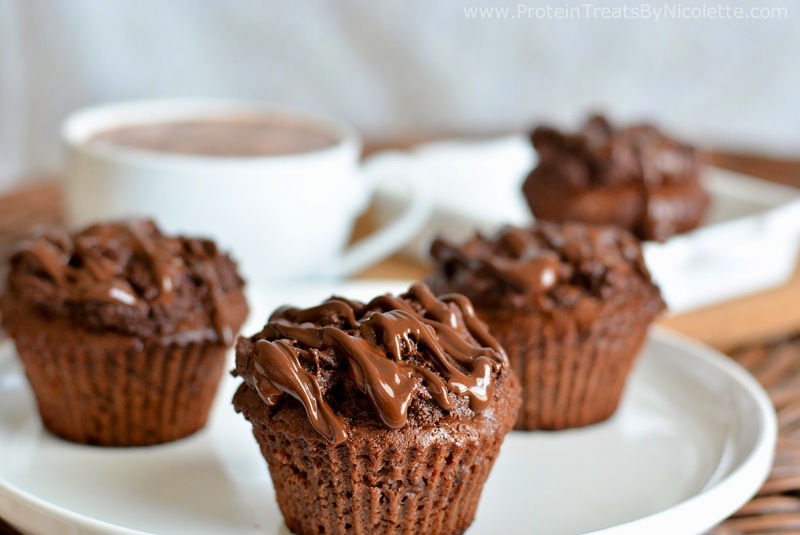 I must say that an edible cupcake version of hot chocolate is bound to make anyone squeal in delight. Being that they're macro-friendly too, you can enjoy them without any guilt! Want a cup of hot chocolate? Go ahead. Make one for yourself. But let me ask you this. 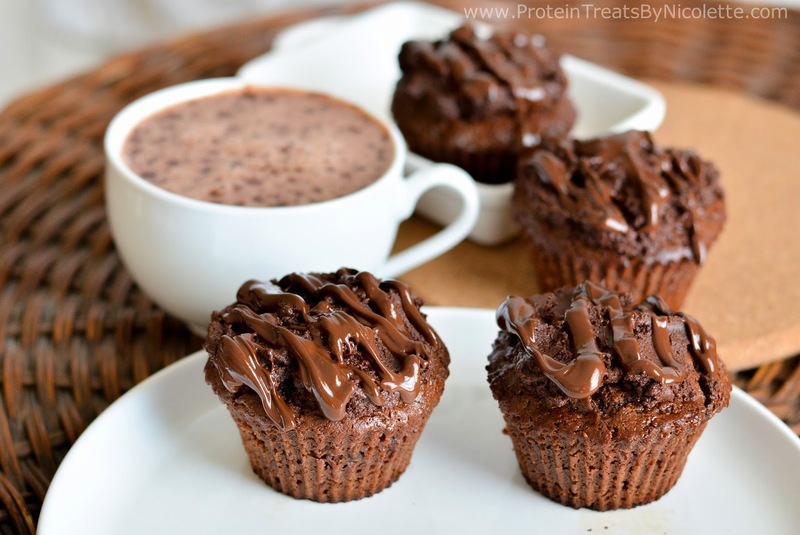 Do you want a bite of delicious, chocolatety, moist, sweet, perfect hot chocolate protein cupcakes? I thought so. I would too if I were you. 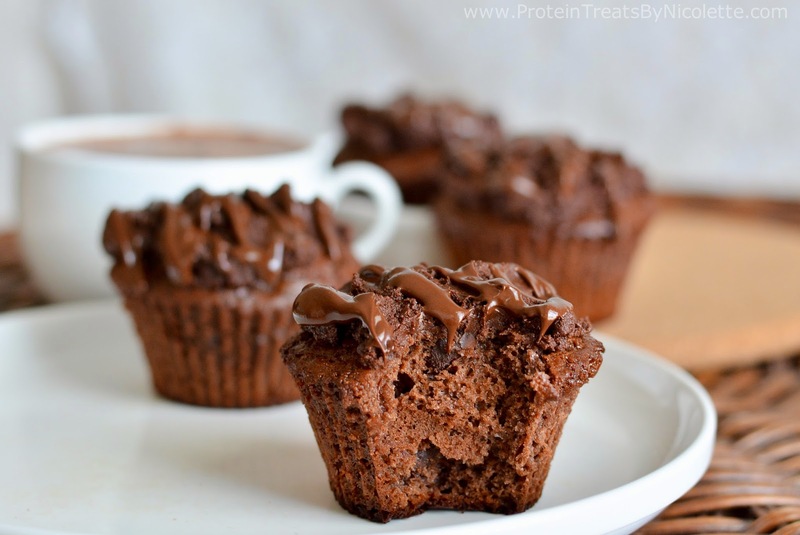 These are just as warming and scrumptious as a freshly made mug of hot chocolate with their rich and gooey flavors. I promise :) Enjoy! 1. Preheat oven to 350 degrees F and place 4 silicone cupcake liners on a sheet pan. 2. Whisk together greek yogurt, egg, and coconut oil in a mixing bowl until smooth. 3. Add remainder of ingredients into the bowl and stir until well combined. 4. Evenly divide cupcake batter among cupcake liners. 5. Bake in the oven for 20-24 minutes, or until center is cooked. Let cool. *If you don’t have silicone cupcake liners, you can use paper cupcake liners. Just make sure to liberally spray them with non-stick spray. What could one use to substitute out the coconut oil? 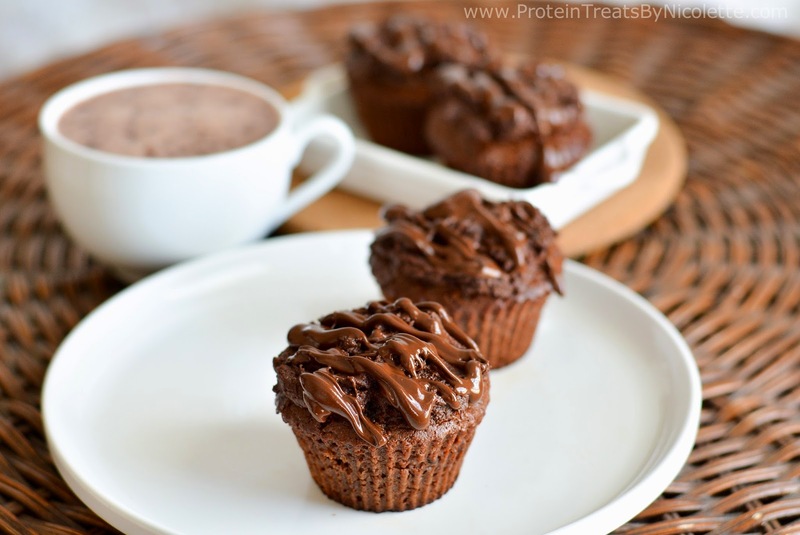 I'm allergic :( but the recipe seems lovely!